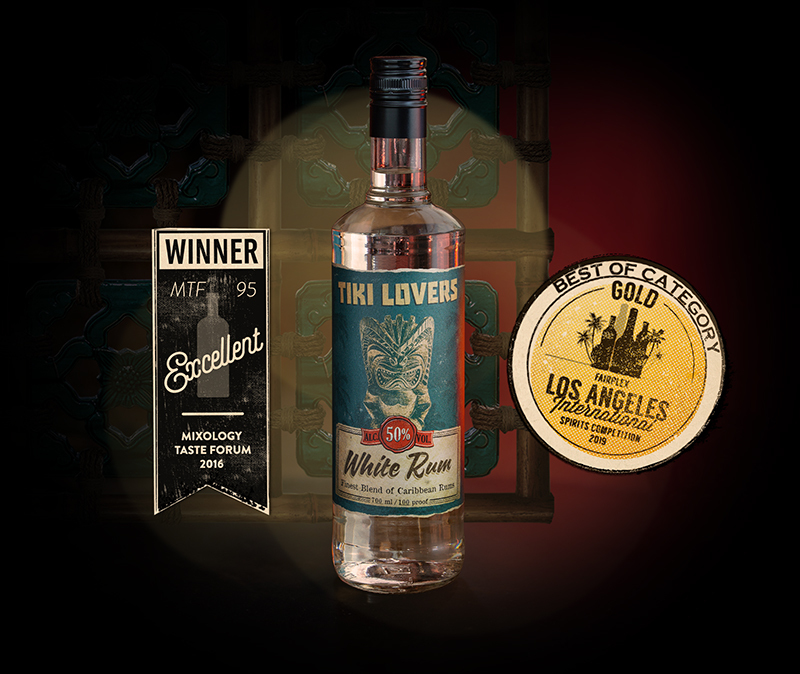 TIKI LOVERS White Rum is a delicious blend composed of aged and unaged Rums from the Caribbean, with the backbone of TIKI LOVERS White Rum coming from the lush and fragrant shores of Jamaica. Distilled at some of the island’s most famous distilleries, Monymusk and Worthy Park, with the heritage of rum-making dating back to the year of 1741. Jamaican Rum is world-renowned for its distinctive flavour and high quality, and was therefore our first choice when we were looking for saporous and tasty Rums that would lead the aroma structure of our blend. Our chosen unaged rums are pot-still distilled and are heavy with esters, creating the impression of rich banana flavor and cooked fruits. The blending process, a fine art for centuries, includes rum, aged up to 5 years, from Trinidad’s most famous distillery. We then strip the rum of color by charcoal filtration, but maintains its full flavour, intensified by the ageing time in black charred, old Bourbon barrels. In a final flourish, a crisp, fresh and crystal-clear column still rum from Trinidad is added, creating a premium white rum, at a sumptuous 50% Alc. Vol. with complex fruity and floral notes. 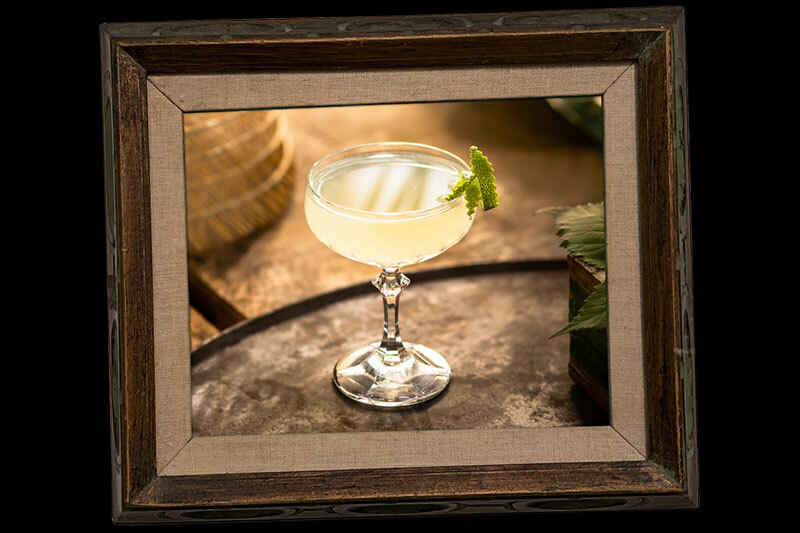 Created in 2011, TIKI LOVERS White Rum secured the top position at Mixology Magazine’s Taste Forum, against leading products and brands in the white rum category. 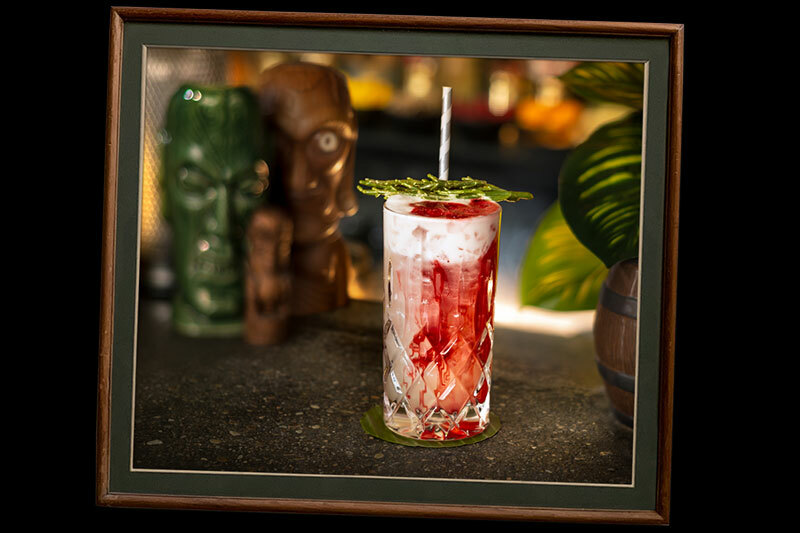 In conclusion, TIKI LOVERS White Rum is distinctive in drink classics like the Daiquiri, Rum & Cola, Pina Colada and other tropical thirst quenchers. The classic tropical drink with a kick of Aloha. A delicious and dangerous spectacle. Not to be missed.